Having evolved into the digital space with advanced functions, the rummy game has become a game for everyone. No longer do you have to search for clubs in big sprawled out cities; you can access the game at the touch of your fingers at the place you are. Rummy gets unfairly criticized as a game based purely on luck. If luck were the sole factor in determining the outcome of the game, why can’t a same person keep winning every single time? Well, let’s get this right, luck stops the moment you get your initial 13 cards. The cards handed to you initially can make some difference in the outcome but that’s not much. There are players who win despite getting bad starting hands. Now, how’s that possible if rummy weren’t a skill-based card game? The key to long-term success in Rummy is learning the craft of playing rummy properly and mastering its strategies. 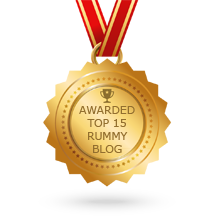 In this article, we shall delve into the 5 main factors that will prove that rummy is indeed a skill based game. Rummy is in fact one of the most popular mobile game today. Rummy is a simple game played with 2-6 players and with 2 decks of cards. The objective of 13 card Indian Rummy card game is to arrange the hand cards into proper sets and sequences. To come out victorious on top there are a few skills that players have to master. *Players have to follow these two to ensure they complete the sets and sequences soon. It is important to analyze to what cards you are opponent’s cards by calculating the probability. For example, if you are holding high-value cards, chances are that your opponents are holding lower cards. Form your strategy based on the cards your opponents are holding. 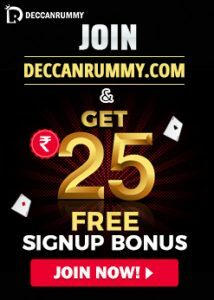 As lot of us rummy enthusiasts know rummy is a skill based game, most of the rummy sites have a page dedicated to rummy tips and strategies. You can learn about the combinations your opponents are trying to meld only by observing their draw and discards. Once you remember the fall of cards, it is easier for you to refrain from dropping the cards they require. Only when you memorize their moves, you can form your strategy and make the right moves at right time. So concentration plays a very vital role in your pursuit towards success in Rummy. If you think Rummy card game is all about the draw and discard then you are woefully wrong. Soft skills like Patience, perseverance, resilience, decision-making, treating defeats and wins on the same pedestal are very important in advancing your rummy career. Playing rummy on a regular basis will help you enhance these skills which also play a very big part in our lives. Its probably an unwritten rule that it takes quite a lot of practice to become experts in any field that we chose. Whether you aspire to be pretty good or an expert, practice is always important. Rummy is one such game where practice plays a very vital role. Without enough practice game experience behind your back, you will find the going pretty tough in tournaments and cash games. These points should give you some idea why rummy is often called a game of skill. The good news is playing rummy is no rocket-science, anyone with an interest and a passion towards card games can play the game and win real cash. If you like the article, feel free to share it on your social media profiles. Got a comment or two? Feel free to post below. 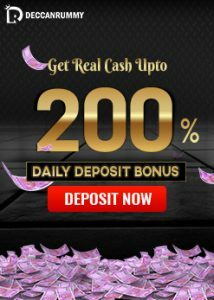 Why Freerolls are the most preferred form of Rummy?